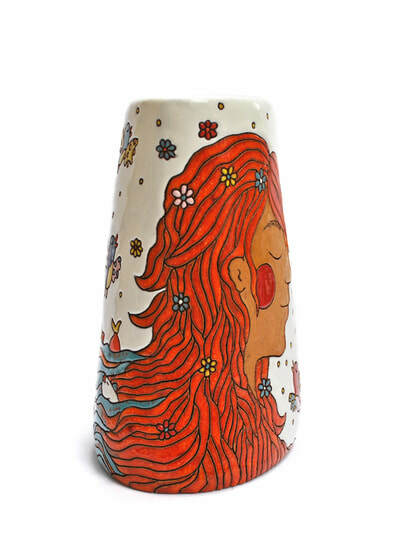 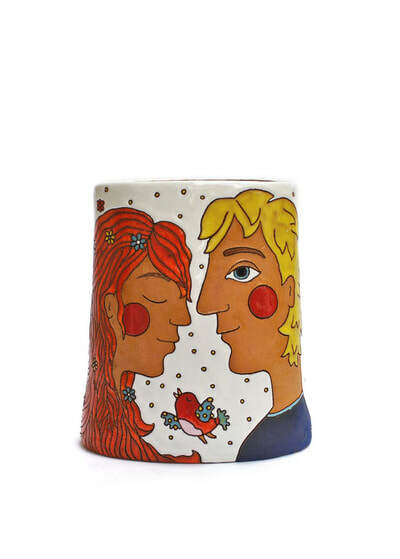 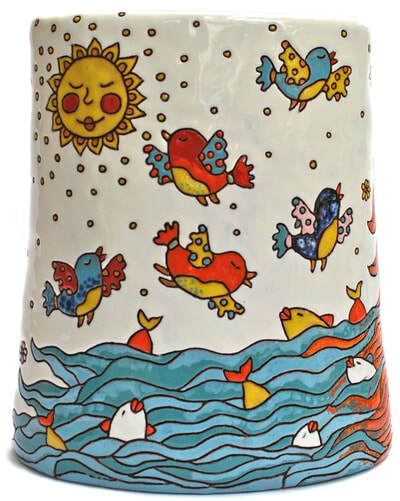 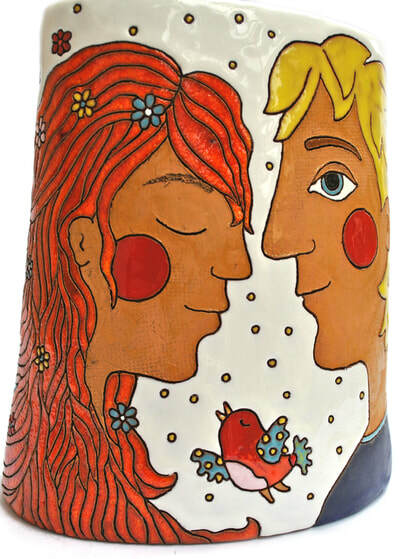 This medium sized romantic vase is rich in tiny hand carvings bursting with colour and detail. Fish, birds, flowers in the girl's hair gradually turning into sea waves are the result of hours of patience and extremely meticulous glazing with very thin brushes. 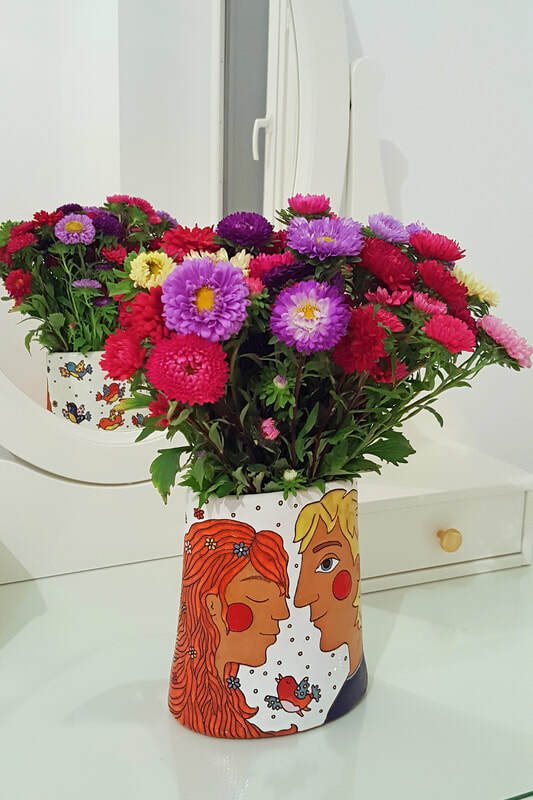 The vase is medium sized, standing approximately 19 cm (7.5 in) tall, 13.5 cm (5.3 in) wide on top and 16 cm (6.3 in) wide at the bottom.